Hiya friends! 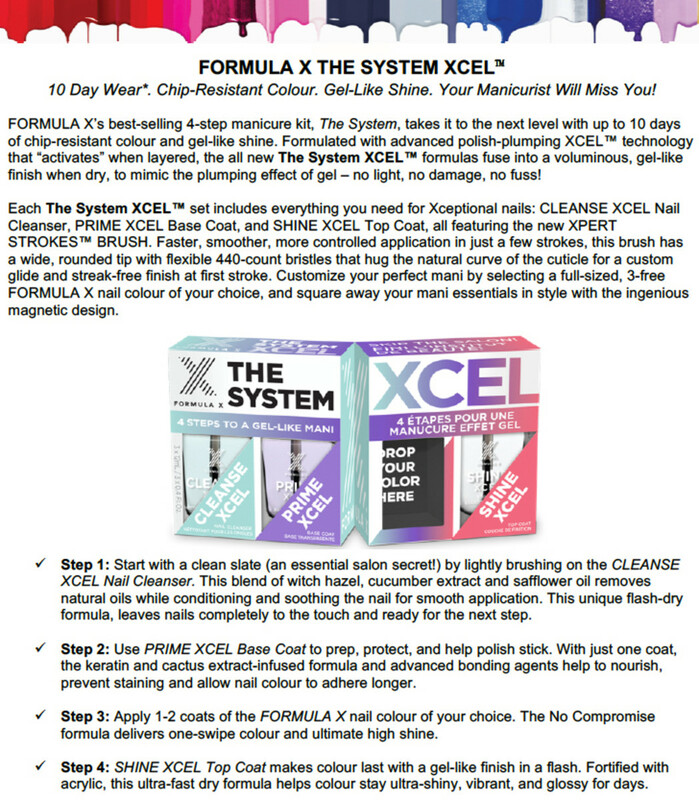 This month, Formula X is introducing the brand new Formula X The System Xcel. 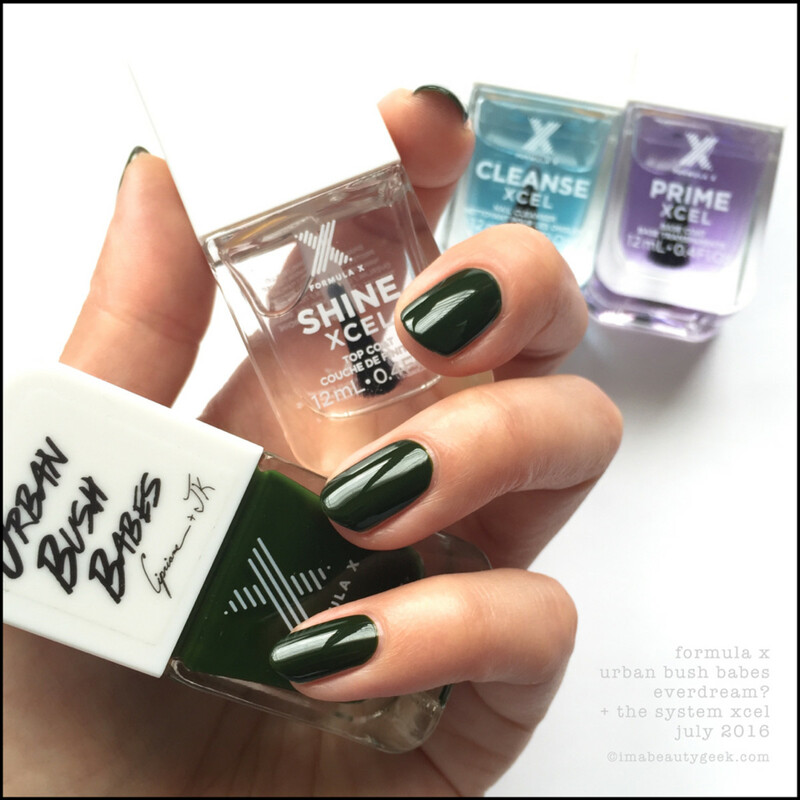 I’ve used it a bunch of times with the three limited edition July #ColorCurators Urban Bush Babes Shades. Then I used it a couple more time with some glittery things, just because I could. 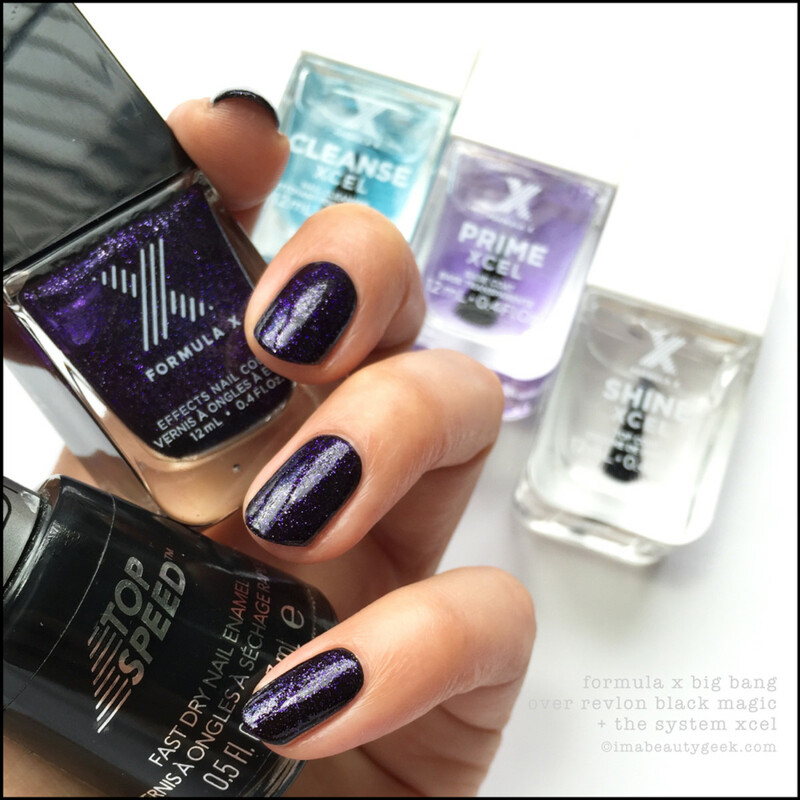 Formula X The System Xcel is three components: a nail cleaner (Cleanse Xcel), a base coat (Prime Xcel), and the plumpy top coat (Shine Xcel). 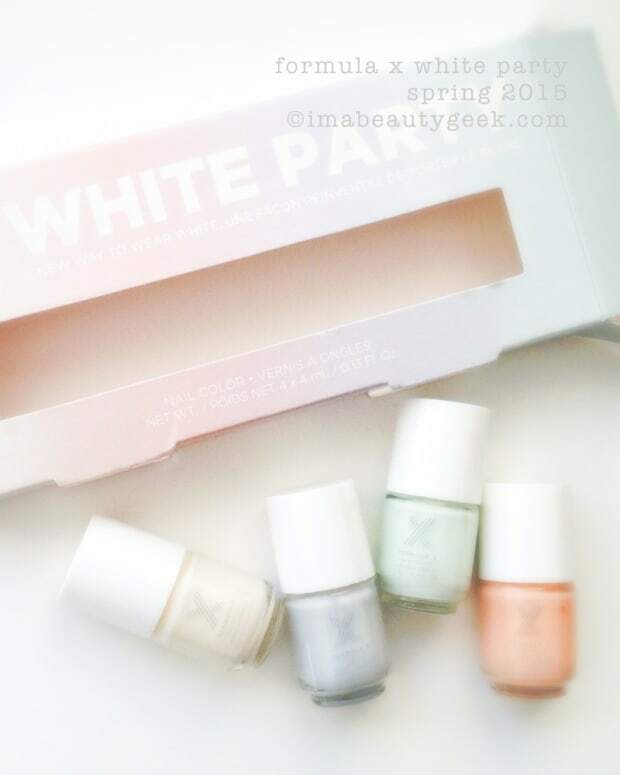 They’re meant to be used in combination with any existing Formula X shade. How great is that? That means you don’t need to go out and get a whole bunch of new polish to go with it. 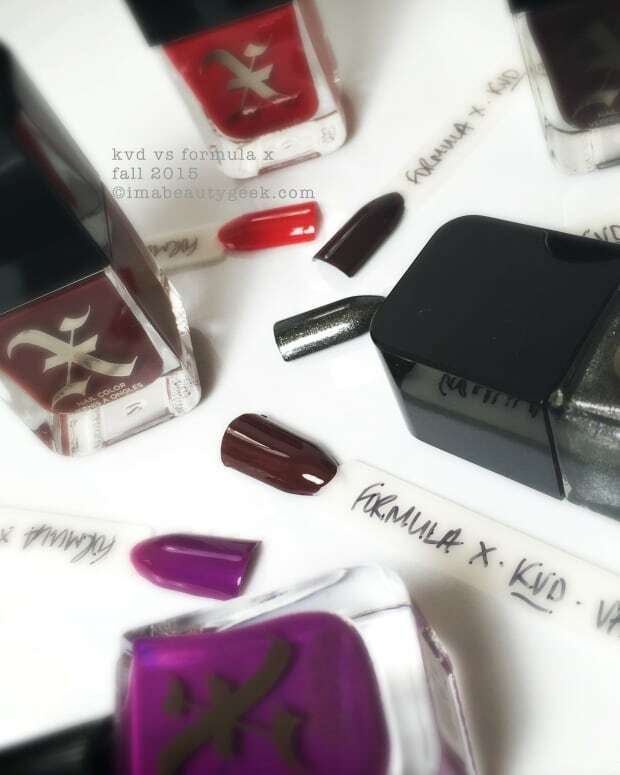 At well over... uh... many bottles of Formula X polishes in The Archives, me likes. 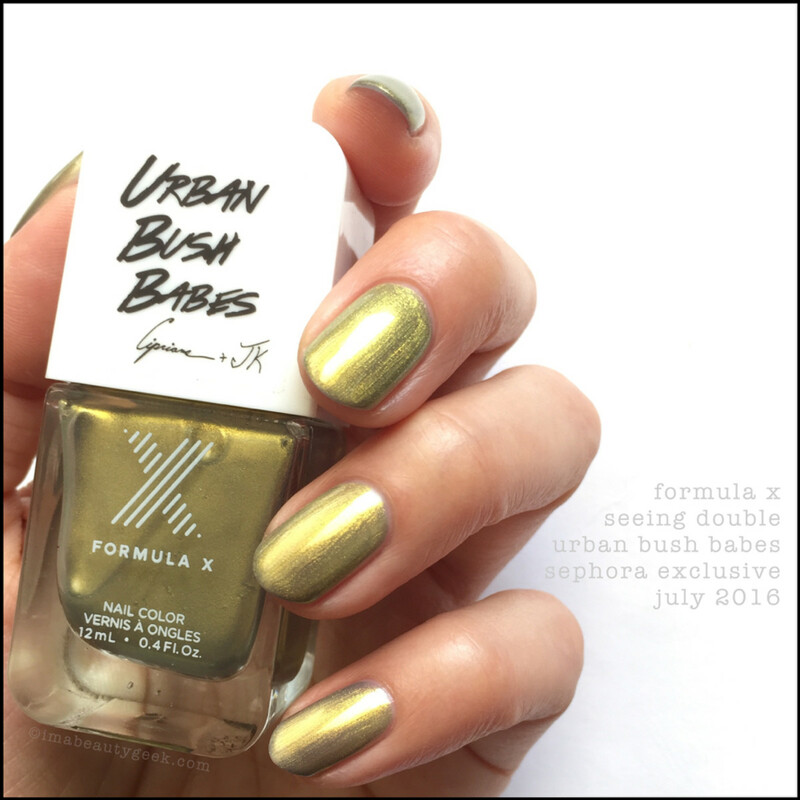 Because it’s July and the limited edition Urban Bush Babes #ColorCurators collection is available in-store and online right this minute, I figured why not use that to show you the shiny? Simple, right? And the System Xcel bottles are all the same size as the polishes so they all tuck nicely away in my Helmer. Happy times! When you go to the store to buy a System Xcel kit, you get to choose a shade to include with the three-part system. I don&apos;t think the above three #ColorCurators shades count ‘cause they run a couple bucks more. 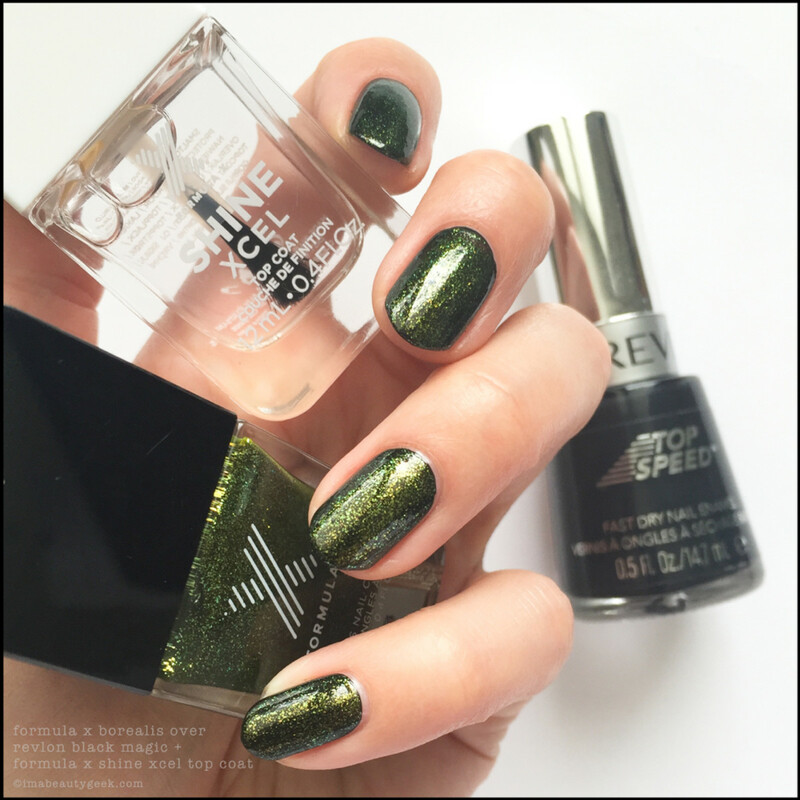 But the colour collection has more than 250 polishes and counting; I’m betting you can find something else that calls to you. And did I mention there would be a Clix! system too? Mmm hmm. That means you can get the miniature version (choice of two shades: Ignite or Impeccable) for $19 CAd as opposed to $40 CAd for the full-sized versions. Me? I&apos;m all full-sized shiny stuff please! 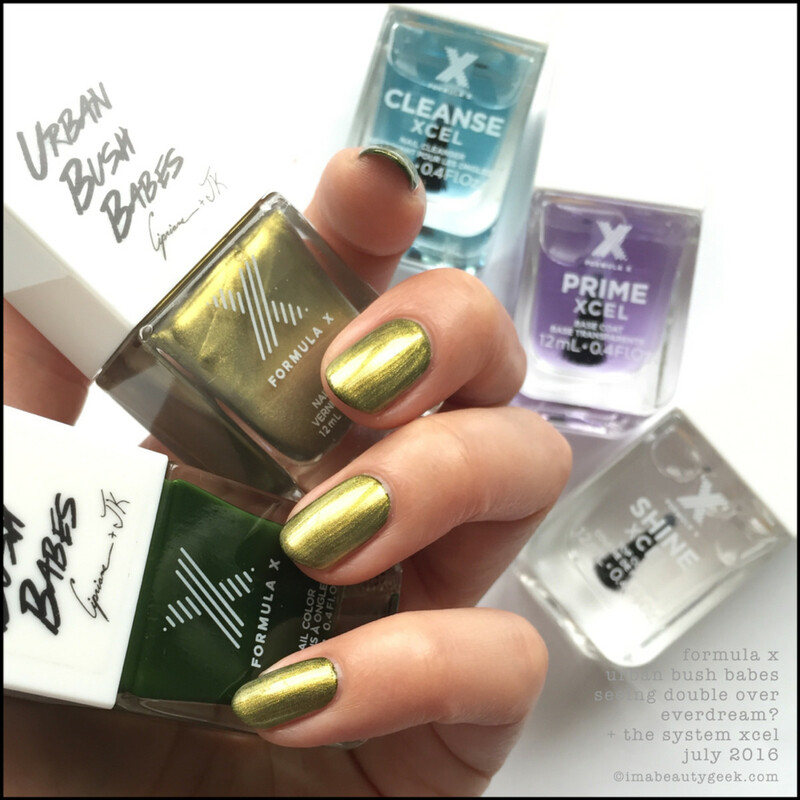 Formula X is one of my favourite nail colour brands, with an amazing range of shades and finishes that go on super-easily and with great payoff. 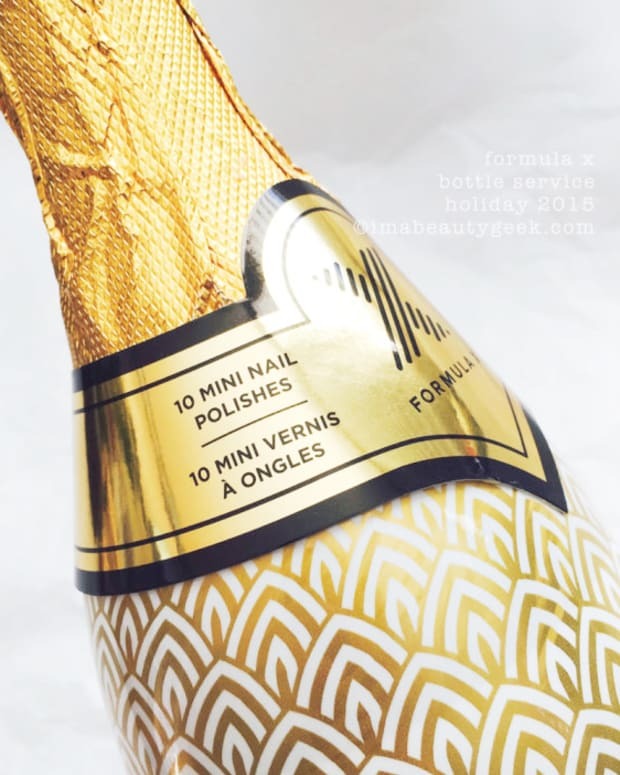 I like the idea of this system – everything works nicely together to create a compliment-worthy manicure, and having the components packaged in a set is so convenient. As I&apos;ve said before, wear time is entirely individual, depending on your chemistry and how you use or abuse your hands. I swatch too often to get a true reading on whether a nail-colour system really lasts X-number of days. If you have longevity stories about Formula X System Xcel, please do share your experience in the comments! 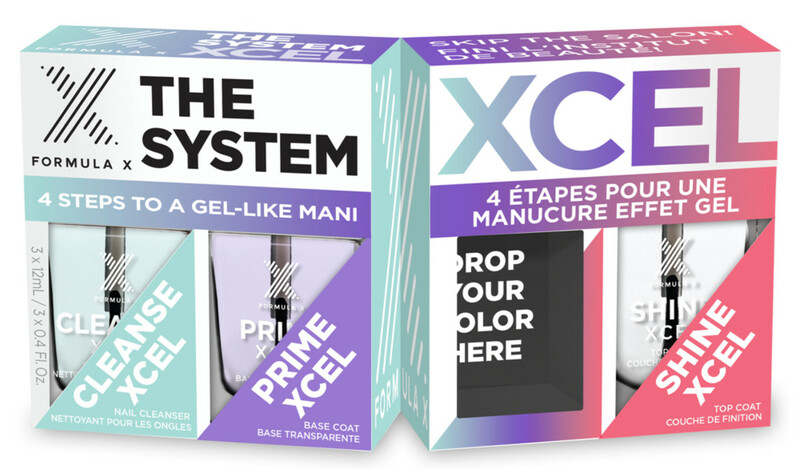 In Canada, The Formula X System Xcel is available (as a kit or as separate components) online at sephora.ca as of now and it hits store shelves August 2016. In the US, visit sephora.com and while you&apos;re there, don&apos;t forget to hit the sale section (USA / Canada) because... sale (one of the best four-letter words). Manicures & Photographs Karen Falcon (she&apos;s building her last backup Helmer today).